Picture may be enlarged to show detail. Please check decal size option for exact dimensions. If you require a custom size, please email us. Decal does not have a background. Whatever surface you place it on will become the background, just like in the picture. These vinyl decals are removable, but not reusable. The vinyl decal can be safely removed without damaging surfaces. Please see the specifications section for more info on the vinyl we use. Larger items may come in multiple pieces. Rearrange them however you like! Your order will arrive as a 3-layer product. The backing paper, your vinyl decal and the application tape already applied. Instructions for application of the vinyl decal will be included. Check our FAQ section for answers to the most common questions. Notes Extra precaution should be used when applying wall graphics to “Low VOC” or "Zero VOC" paints as these paints may exhibit lower adhesion levels. Surfaces to which the material will be applied must be thoroughly cleaned from dust, grease or any contamination which could affect the adhesion of the material. Freshly lacquered or painted surfaces should be completely cured. The compatibility of selected lacquers and paints should be tested by the user, prior to application of the material. Films with structured surface are naturally more sensitive than the unstructured. Accordingly, these films are to be treated carefully both in processing and in cleaning. I can do all things through Christ which strengthens me.Picture may be enlarged to show detail. Please check decal size option for exact dimens..
A soft answer turneth away wrath - Proverbs 15:1Picture may be enlarged to show detail. Please check decal size option for exact dimensions. If..
All I have needed thy hand has provided, Great is thy faithfulness Lord unto me.Picture may be enlarged to show detail. Please check decal size..
Be steadfast & immovable,always abounding in good works. - Mosiah 5:15Picture may be enlarged to show detail. Please check decal size optio.. When you go through deep waters I will be with you. - Isaiah 43:2Picture may be enlarged to show detail. Please check decal size option for exa..
A Mighty Fortress Is Our GodPicture may be enlarged to show detail. Please check decal size option for exact dimensions. 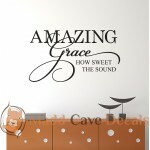 If you require a custo..
Amazing Grace How Sweet The Sound Christian Wall DecalPicture may be enlarged to show detail. Please check decal size option for exact dimensio..
Count Your Many Blessings. Name them one by one.Picture may be enlarged to show detail. Please check decal size option for exact dimensions. If.. It Is Well With My SoulPicture may be enlarged to show detail. Please check decal size option for exact dimensions. If you require a custom siz.. In the shadow of your wings I sing for joy - Psalm 63:7Picture may be enlarged to show detail. Please check decal size option for exact dimensi..
Child Of The One True KingPicture may be enlarged to show detail. Please check decal size option for exact dimensions. If you require a custom .. In Happy moments praise God. In Difficult moments seek God. In Quiet moments trust God. In Every moment Thank God.Picture may be enlarged to sh..
Trust in The Lord with all your Heart.Picture may be enlarged to show detail. Please check decal size option for exact dimensions. If you requi.. If the son sets you free you will be free indeed. John 8:36Picture may be enlarged to show detail. Please check decal size option for exact dim..
Jesus Is My AnchorPicture may be enlarged to show detail. Please check decal size option for exact dimensions. If you require a custom size, pl.. Delight Yourself In The Lord, and he shall give you the desires of your Heart. - Psalm 37:4Picture may be enlarged to show detail. Please check.. He counts the number of the stars; he calls them all by name. - Psalm 147:4Picture may be enlarged to show detail. Please check decal size opti..
What does the Lord require of you, but to do justly, love mercy and to love humbly with your God. - Micah 6:8Picture may be enlarged to show de..
And now these three remain: Faith Hope and Love. But the greatest of these is Love. - 1 Corinthians 13:13Picture may be enlarged to show detail..
Christ is the center of our home, a guest at every meal, a silent listener to every conversation.Picture may be enlarged to show detail. Please..
Let your roots grown down into him, and let your lives be built on him. Then your faith will grow strong in the truth you were taught, and you will ov..
Have I not commanded you? Be strong and courageous. Do not be terrified, do not be discouraged, for the Lord your God will be with you wherever you ma..
Be still and know that I am God. - Psalm 46:10Check below for other Christian wall decals. Hundreds to choose from. Additional decals ship for free! ..
Christ is our anchor through all the storms of life.Picture may be enlarged to show detail. Please check decal size option for exact dimensions.. I Am A Child Of GodPicture may be enlarged to show detail. Please check decal size option for exact dimensions. If you require a custom size, p.. Without dreams we reach nothing. Without love we feel nothing. Without God we are nothingPicture may be enlarged to show detail. Please check d..
For God so loved the world that he gave his only son. - John 3:16Picture may be enlarged to show detail. Please check decal size option for exa..
Love is Patient Love is Kind. - 1 Corinthians 13:4Picture may be enlarged to show detail. Please check decal size option for exact dimensions. .. Greater Love has no man than this; that a man lay down his life for his friends. John 15:13Picture may be enlarged to show detail. Please check.. He will cover you with his feathers and under His wings you will find refuge. - Psalm 91:4Picture may be enlarged to show detail. Please check ..
Amazing Grace CrossDecal will come in 2 pieces, the cross and the amazing grace phrase. If you would like a different set of colors, please email us. .. I have loved you with an everlasting love. - Jeremiah 31:3If you would like a different set of colors, please email us.Picture may be enlarged ..
Love one another as I have loved you. - John 15:12If you would like a different set of colors, please email us.Picture may be enlarged to show .. I can do everything through him who gives me strength. - Philippians 4:13If you would like a different set of colors, please email us.Picture m.. The Lord on high is Mightier than the noise of many Waters. - Psalm 93:4Picture may be enlarged to show detail. Please check decal size option ..
Because He bends down to listen, I will pray as long as I have Breath. - Psalm 116:2Great decal for your prayer room/war room.Picture may be e.. But you oh Lord are a shield around me. You are my glory the one who holds my head High. - Psalm 3:3Picture may be enlarged to show detail. Ple..
Love Does Not Boast - 1 Corinthians 13:4 Picture may be enlarged to show detail. Please check decal size option for exact dimensions. If you require..
Trust in The Lord with all your Heart, and lean not on your own understanding; in all your ways acknowledge Him and he shall direct your paths. - Prov.. I can do all things through Christ who strengthens me.Picture may be enlarged to show detail. Please check decal size option for exact dimensio..
God didn't promise days without pain, laughter without sorrow, nor sun without rain. But he did promise strength for the day, comfort for the tears &a..
For we walk by faith, not by sight. - 2 Corinthians 5:7Picture may be enlarged to show detail. Please check decal size option for exact dimensi..
You are the light of the world. - Matthew 5:14To learn more about this particular book/verse, click the the link below to visit BibleHub:“You are the ..
Trust in The Lord with all your Heart. Lean not on your own understanding; in all your ways submit to him, and he will make your paths straight. - Pro..
We have this Hope as an anchor for the soul. - Hebrews 6:19Picture may be enlarged to show detail. 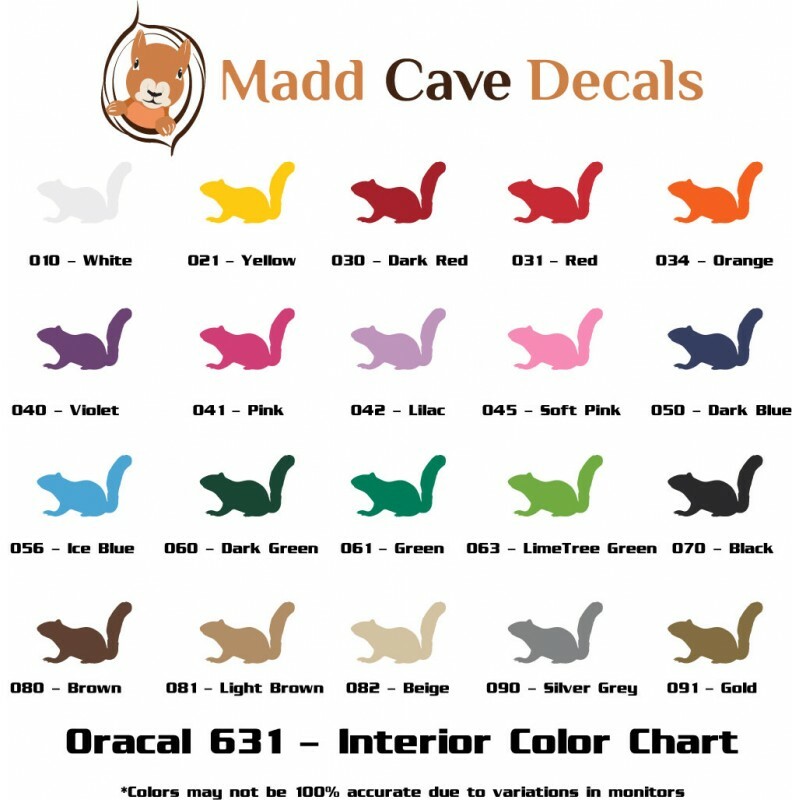 Please check decal size option for exact dim.. Thanks be to God for his indescribable gift! - 2 Corinthians 9Picture may be enlarged to show detail. Please check decal size option for exact ..
My SOUL thirsts for the living GOD. - Psalm 42:2Great decal for your prayer room/war room.Picture may be enlarged to show detail. Please check..
Let the peace of Christ rule in your hearts. - Colossians 3:15Great decal for your prayer room/war room.Picture may be enlarged to show detail..
God is Light. In Him there is no darkness at all. - 1 John 1:5Picture may be enlarged to show detail. 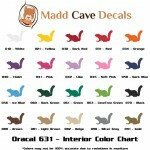 Please check decal size option for exact .. In you Lord my God I put my TRUST. - Psalm 25:1Picture may be enlarged to show detail. Please check decal size option for exact dimensions. If ..